That’s what I miss about big cities. 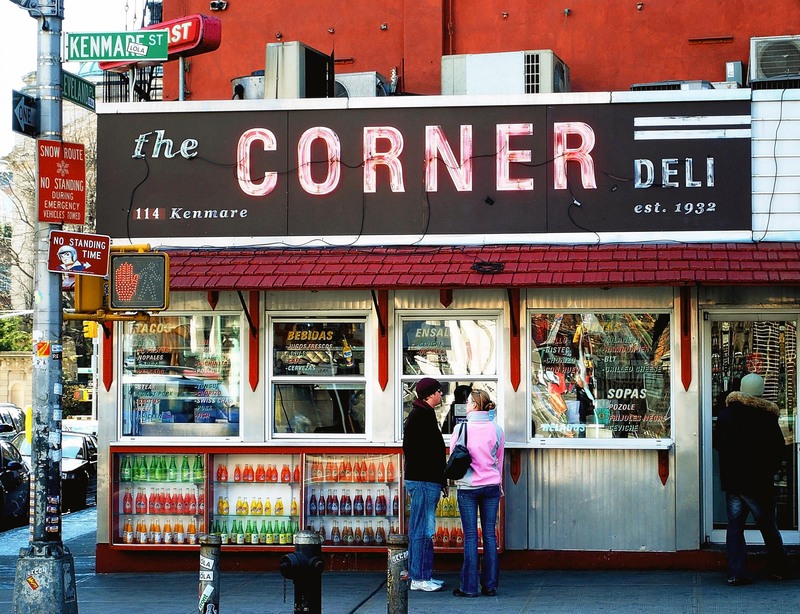 A deli on every corner. Here in the wasteland, we have a convenience store on every corner. Not nearly as cool. I’m all about easily accessible food. I’ll have the smoked ham on wheat with mayo, lettuce, and tomato….and sweet tea of course! It was great Traskie! The colors DO just pop out at you. Looks like it belongs in a magazine…you da’ man! It is definitely the colours. The bottles along the front add so much. And the food. Don’t forget the food. I like it for the composition and also the promise of food. That is fabulous! What an amazing photograph! It’s the promise of food, isn’t it? No, it’s the amazing contrast and color saturation with the bonus of catching a couple in an intimate moment – they are looking at each other, not through the window or out at us. That is called photography and you, my friend, are a most excellent photographer. Thanks, but I still say it’s the food.